Lovely stay for our 10th wedding anniversary - beautiful old cottage, clean and close to all the Blue Mountains highlights. Was great with two kids and it had all the amenities we needed. We would come back again. Walking distance to three sisters , stlylish heritage cottage. The Owner put a lot effort to make sure the guests feel like at home. Free Wi-Fi, Netflix access,well equipped kitchen. Older style blue mountains home. Charmingly appointed. Comfortable. Welcoming. Lovely outlook onto the front garden and the national park over the road. Good location. Very helpful hosts. Very comfortable, great location. Owners did a great job of making it a great stay, very friendly. Beds were really comfortable. Everything you needed in the property. Lovely older house in a perfect location - so quiet yet so close to 3 Sisters. Plenty of room for a family. The house is very well kept and we immediately felt like home. Beside a lot of kitchenware and cooking equipment, even a wide range of spices and sauces was provided - amazing! A very detailed Information Folder is provided to explain various useful locations in Katoomba and around (e.g. where to find a supermarket, where to eat etc.) One can feel, that the owners strive to keep their property in excellent condition. Super friendly hosts! The cliff walkway and the Three Sisters are within walking distance. All the little extras, in the pantry, fridge and the well stocked personal items, including .. shampoo, soap, fans, king size towels and very comfy beds. How quaint cosy the house was we had 5 adults and had so much room for all of us for our 3 nights stay. Everything you will need and so much more. Exceptionally well kept, spacious, characterful. Great attention to detail and lots of nice thoughtful touches. Lock in a great price for Kookaburra Cottage – rated 9.8 by recent guests! One of our best sellers in Katoomba! 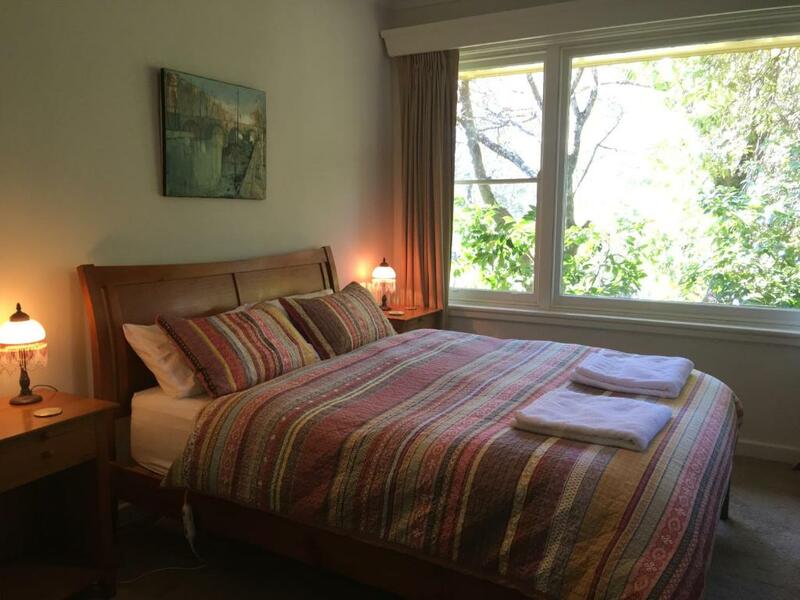 Featuring mountain views, Kookaburra Cottage is a 4-bedroom holiday home in Katoomba, just 1,950 feet from the Three Sisters Echo Point Lookout. Katoomba Street, with its shops restaurants and cafes is just 4-minute drive from the property. Free WiFi and free parking are provided. Kookaburra Cottage has a dining area and a fully-equipped kitchen with an oven, microwave and refrigerator. The living area includes a flat-screen TV and DVD player. The bathroom has a bath, a hairdryer and free toiletries. Guests can enjoy the terrace and garden featuring a BBQ and outdoor furniture. The area is popular for hiking, cycling and golfing. 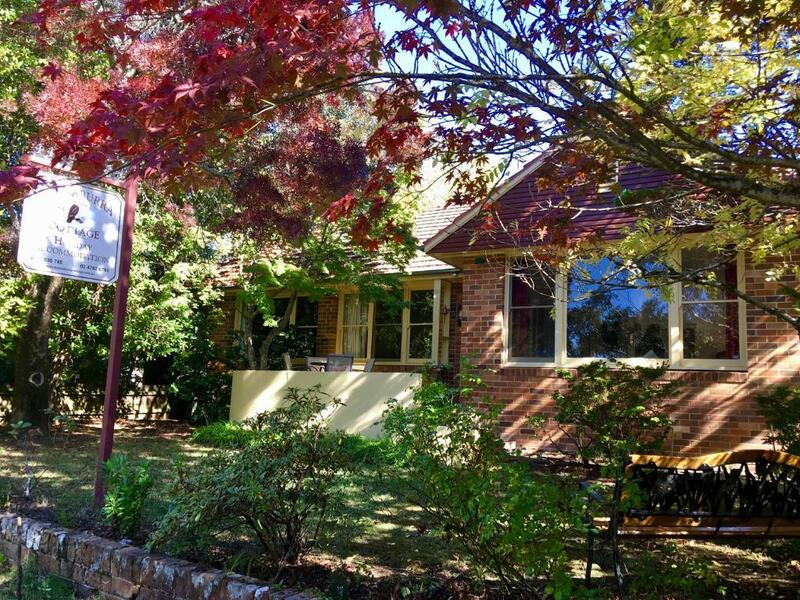 Katoomba Golf Club is a 6-minute drive from the property, while Katoomba Train Station is a 7-minute drive away. 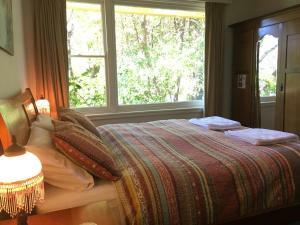 When would you like to stay at Kookaburra Cottage? This holiday home has a washing machine, patio and oven. 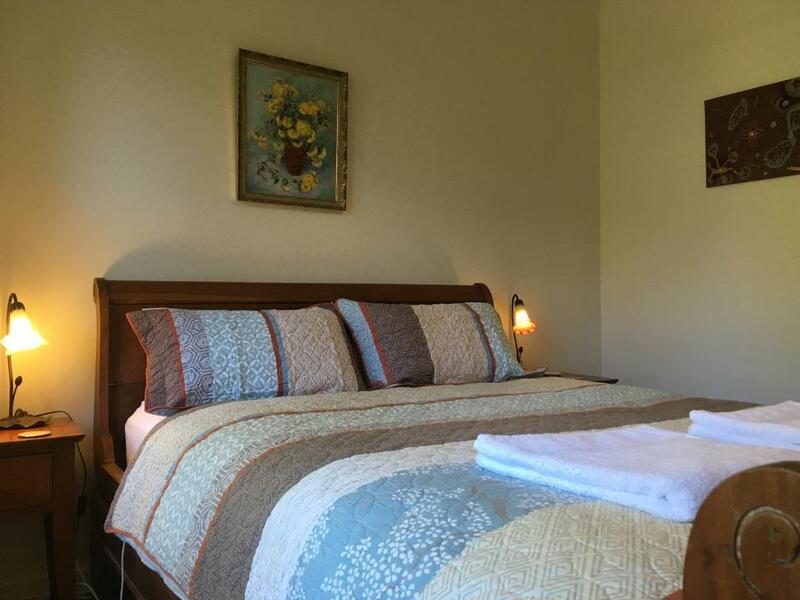 Kookaburra Cottage is an elegant, comfortable full brick Art Deco mountains cottage an easy stroll to the Three Sisters and Echo Point. There are filtered views to the escarpment. Parks, lookouts and Prince Henry Cliff Walk are just across the road. Kookaburra Cottage is perfect for enjoying the special things the Blue Mountains offer, the lookouts, the bushwalks, the winter evenings. On rainy days relax with a movie or read a book - or try the hot chocolate at the Blue Mountains Chocolate Company in nearby Lurline Street. There are books and a cupboard full of games and jigsaws in the traditional holiday house style. There is also free WiFi with Netflix. On sunny days enjoy the beautiful bushwalks, spectacular views and the lovely cold climate gardens for which the Blue Mountains are famous. The house has four bedrooms and sleeps six in two queen-sized beds and two single beds. We provide all linen and towels. The sheets, quilt covers, blankets and towels are by Morgan and Finch. The kitchen is well equipped with Le Creuset cookware, basics such as oil, herbs and spices, salt, pepper, sugar, coffee, and a wide range of teas. There is a microwave, a toaster and an espresso maker. Kate and Robert have been resident in the Blue Mountains area for over 25 years with some time away for adventures like running a small holding in New Zealand and oyster farming in Tasmania. They both love the Blue Mountains and are knowledgeable about the area. They are very happy to help you find what might interest you, from bushwalks to live music, food, shopping, eating out and films. Katoomba is renowned for the Three Sisters and the spectacular views across the Jamison Valley. The Blue Mountains is a World Heritage Area and one of Australia's most popular tourist destinations. 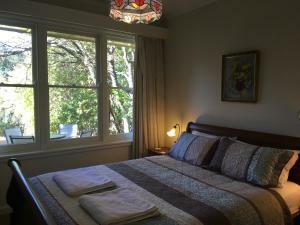 Kookaburra Cottage is situated right in the most popular tourist hub of the Blue Mountains. House Rules Kookaburra Cottage takes special requests – add in the next step! You will be contacted by the property to arrange payment via bank transfer. All pre-payments must be received within 48 hours of booking. Please note that this property requires a AUD 200 damage deposit to be paid via bank transfer at least 7 days prior to arrival. After departure and inspection of premises, this amount will be refunded. Please inform Kookaburra Cottage of your expected arrival time in advance. You can use the Special Requests box when booking, or contact the property directly using the contact details in your confirmation. A damage deposit of AUD 200 is required. The host charges this 7 days before arrival. That's about 143.61USD. This will be collected by bank transfer. You should be reimbursed within 7 days of check-out. Your deposit will be refunded in full by bank transfer, subject to an inspection of the property. Maybe another toilet to cater for the number of people who could stay in property. Beautiful accommodation. Very clean and comfortable. So close to all the walks that we wanted to do. Good and easy communication with the owners. Full of character cottage with fine attention to detail. Being told heating should be set to 18 deg. C (it was very cold). Having it set higher could forfeit damages deposit? Hot water ran out quickly. Had to have a very cold shower at night. Not happy about that! What's the point of having a fire place when you are not allowed to use it! A tiny TV monitor with Netflix access makes no sense. Quirky notes around the house seemed to be a little "over the top". Amusing but demeaning! When on holiday, the last thing you want is restrictions imposed on your stay. We felt very uncomfortable about this. The fenced garden for our young children to play in. It was a great central location, well-equipped and very clean and comfortable. 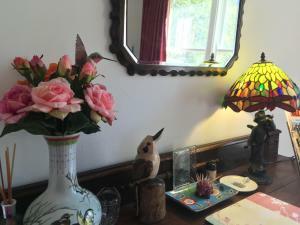 Beautiful house, warm and cosy during our winter stay, very well equipped with everything we needed especially in the kitchen! Fantastic location and really lovely hosts. We would definitely love to stay again!